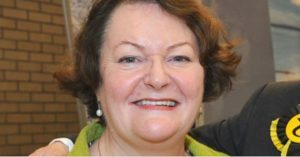 From Daily Mirror: Theresa May’s “disastrous” handling of Brexit poses a deadly threat to the NHS, the SNP’s Westminster health spokesperson Dr Philipa Whitford has warned. From Unearthed: Liam Fox’s department for international trade has signed agreements with the US which will make it much more difficult to find out what is being discussed in early-stage US-UK trade talks. 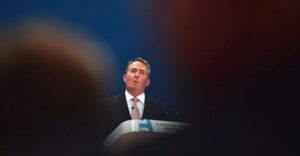 Liam Fox’s department last week quietly released an exchange of letters between the UK and the office of the US trade representative agreeing to mark exchanged information, papers and discussions as either “sensitive” or “confidential”, with both sides also agreeing to keep the information “held in confidence” for four years after the conclusion of the talks. Tory trade secretary #LiamFox: If UK trade figures are bad, it's nothing to do with me.